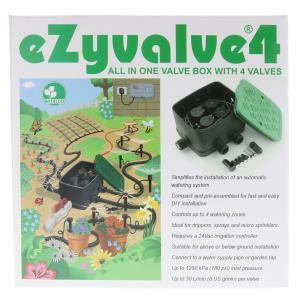 The Antelco eZyvalve®4 Manifold system is a compact, easy to install, Manifold Valve Box containing 4 internal solenoid valves. Available in 24V AC or 9V DC models. Connect to a compatible four station controller for automatic operation of your irrigation system. (AC controllers are powered by electricity while DC controllers are battery powered.) 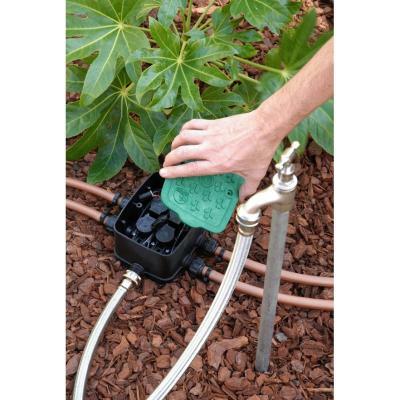 Use in your home garden or landscape area, greenhouse or even nurseries. This unit can be installed above or below ground. Please Note: Some replacement parts are available for these units. See our Manifold Parts Category.